Significant improvements in the comfort and versatility of the dental chair have been made over the last 300 years. Prior to the 17th century, tooth extractions were often performed with the patient sitting on the floor, their head held firmly between the operator’s knees. Everyday armchairs occasionally served to make dental procedures less awkward and fatiguing. But not until the early 1700s did Pierre Fauchard, French dental surgeon extraordinaire, set a new trend in comfort by consistently getting patients off the floor and onto a chair for an examination or extraction. 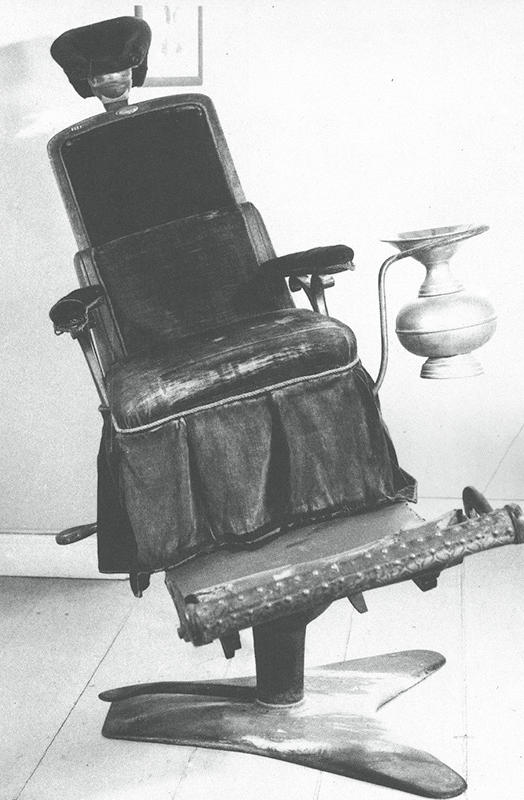 In early 1800s America, a rocker with a properly placed log served as a prototype for the mechanical dental chair. As time passed it became apparent that both patient and dentist could benefit from a more supportive yet flexible seat. 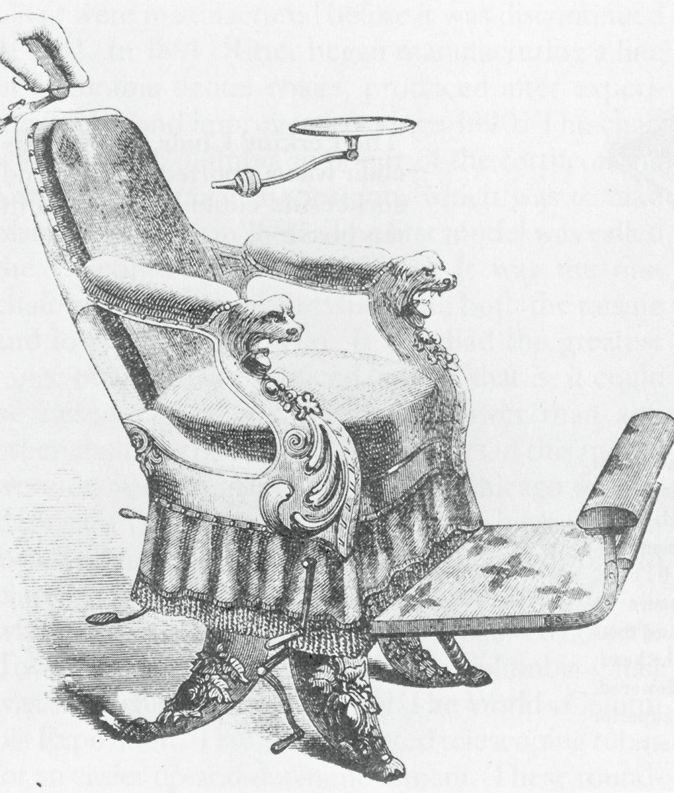 Individual dentists designed and constructed their own dental chairs until the mid 1800s, when dental manufacturers took over, producing a wide selection of ornate chairs with varying degrees of headrest, footrest, back and seat adjustability. Practical replaced plush following the Civil War. Instead of wood there was metal, and a more utilitarian chair appeared. For almost a century until the mid-1900s, the S.S. White Company’s “stark, alien-like design” remained popular. Bennion, E 1986 Antique Dental Instruments, London: Sotheby’s Publ. ; Glenner, RA 1984 The Dental Office: A Pictorial History, Missoula: Pictorial Histories Publ. 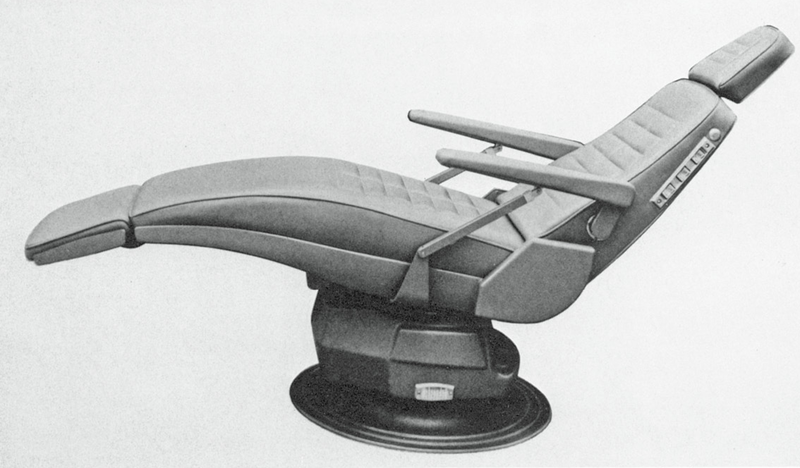 ; Glenner, RA 1996 How it Evolved: the modern reclining dental chair. J. Hist. Dent. 44(3):122-124; Glenner, RA 2000 How it Evolved: The dental chair – early development. J. Hist. Dent. 48(1):21-24.; Ring, Malvin E. 1985 Dentistry: An Illustrated History, New York: Abradale Press. Explore the collection in the slideshow below. 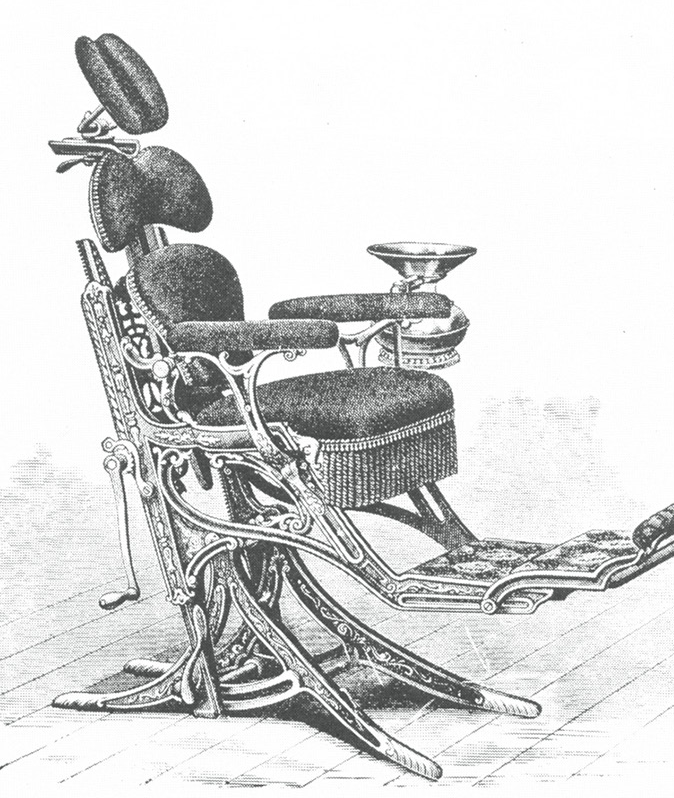 By modifying a Windsor writing chair, dentist Josiah Flagg invented the first American-made dental chair. The patient's comfort and dentist's efficiency were improved by adding a movable headrest and widening the armrest for instrument placement. 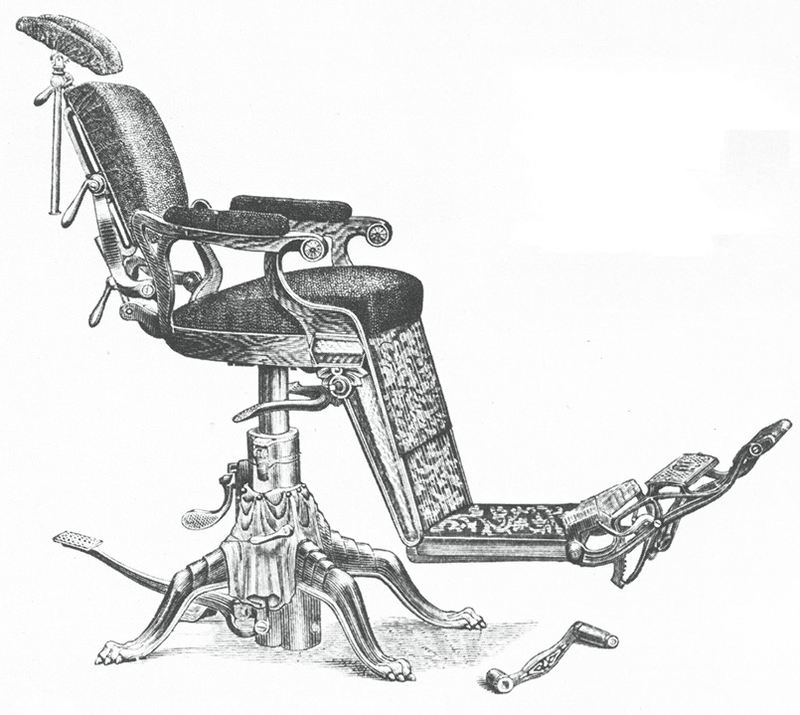 Englishman James Snell made the first mechanical dental chair with an adjustable seat and back. 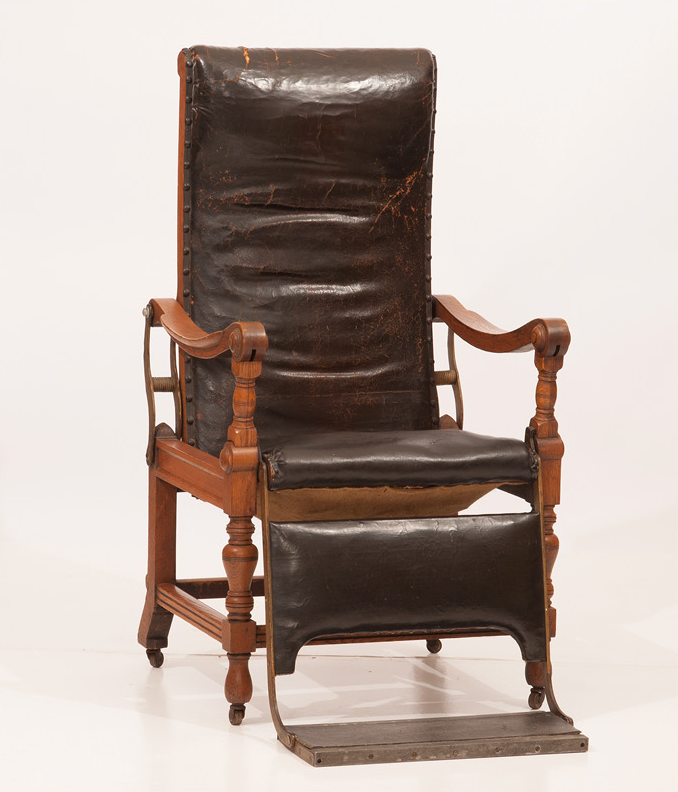 Leaning back in this circa-1830s mobile reclining chair automatically raises the footrest. The chair is part of the Ward Museum collection. The $90 Perkins' Chair had a ball-and-socket joint for clamping in any position. However, it required unusual effort to control if unclamped while occupied. 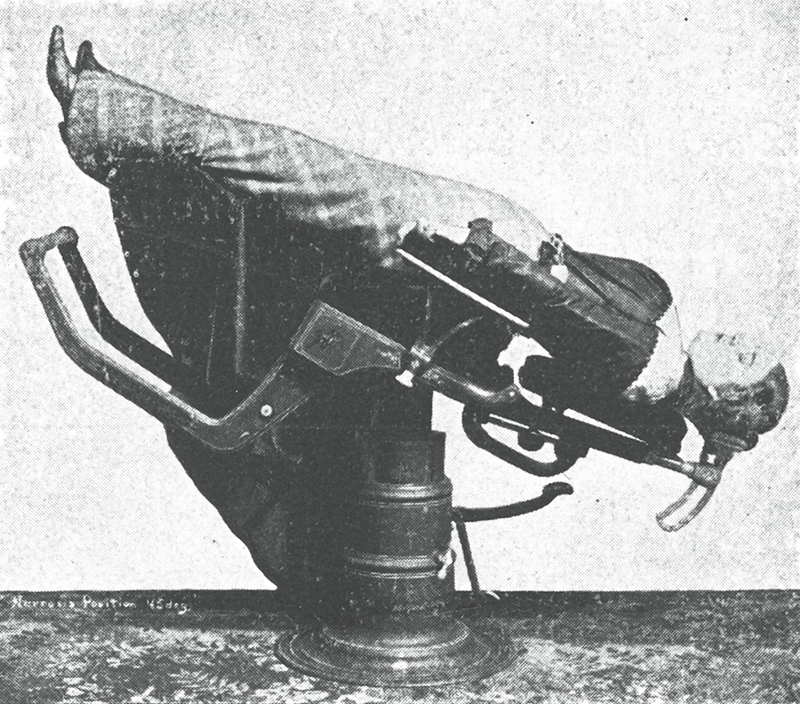 The Asks' Patent Dental Chair was the first to permit tipping forward and backward of the seated patient. 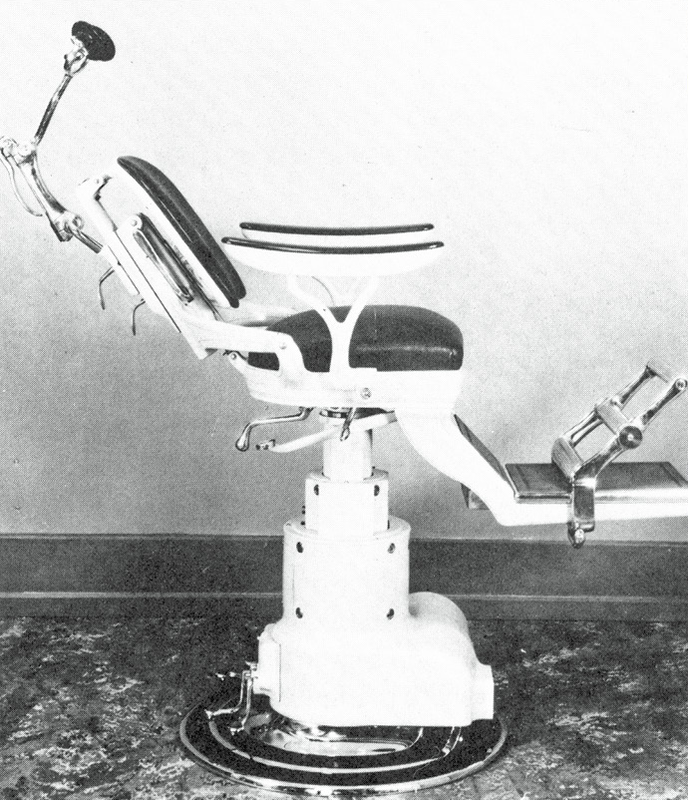 The Whitcomb Dental Operating Chair was the first to permit raising and lowering of the seated patient. 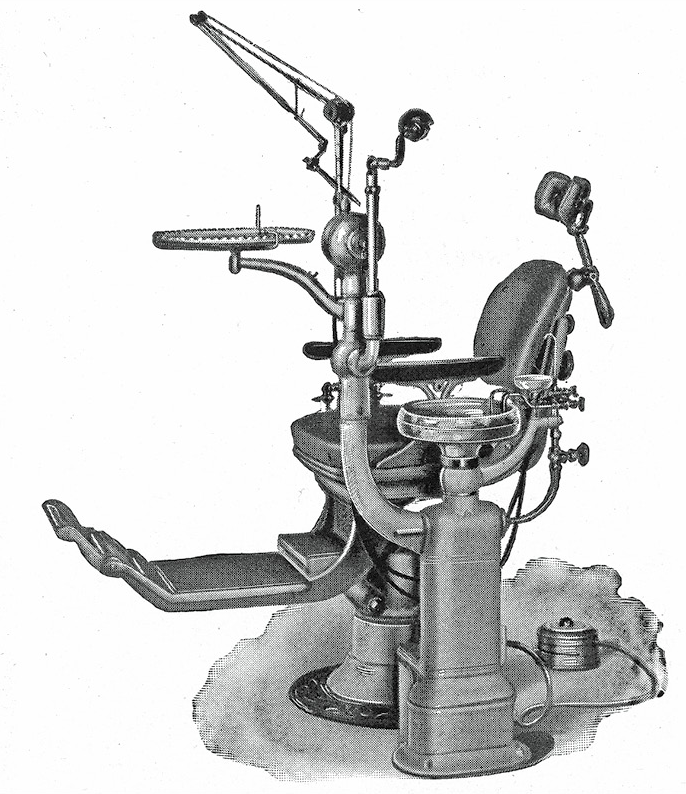 A unique mechanism in the James Beall Morrison Dental Chair allowed the dentist to tilt the patient in any direction. 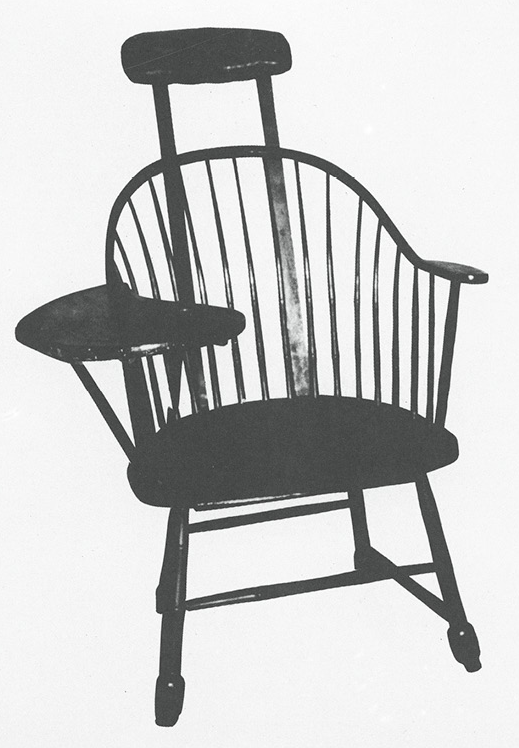 Four years later, J.B. Morrison invented the first chair with an unprecedented vertical range of 27 inches. Such height flexibility allowed the dentist to choose between working while sitting or while standing. Levers replaced cranks in the Wilkerson Dental Chair, the first of its kind with a pump-type hydraulic mechanism. As a bonus, the design was comfortable for either a right- or left-handed dentist. On view at the Smithsonian Institution, this replica of the operating room of Dr. Greene V. Black (often referred to as the father of modern scientific dentistry) exhibits an Archer's Swan Chair adorned with flaring armrests carved to resemble a swan's neck and head. A foot pedal raised or lowered this richly upholstered and decorated German dental chair from the Victorian era. 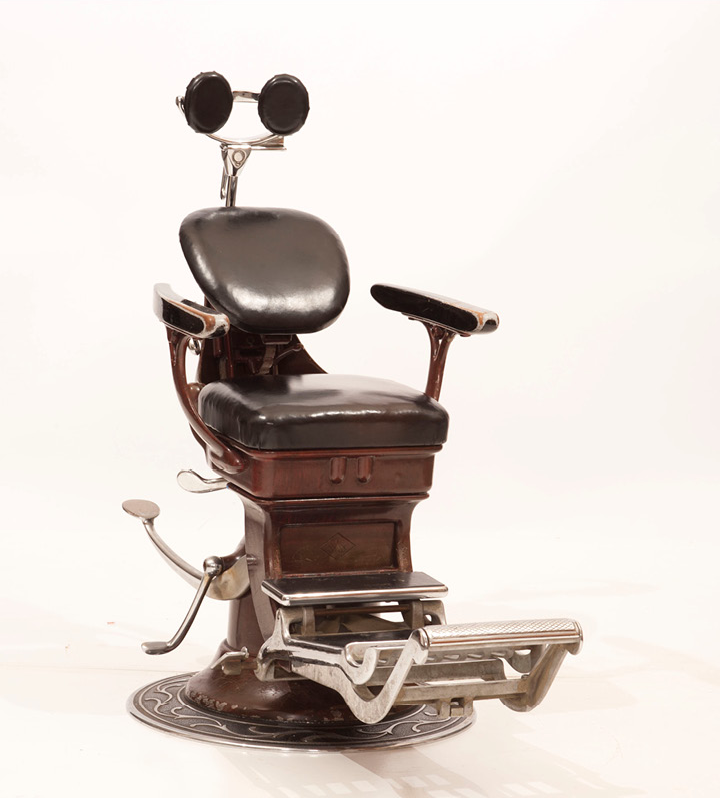 Described as "perfectly balanced", this Fredrick's Dental Chair was one of the earliest with an oil-filled base. 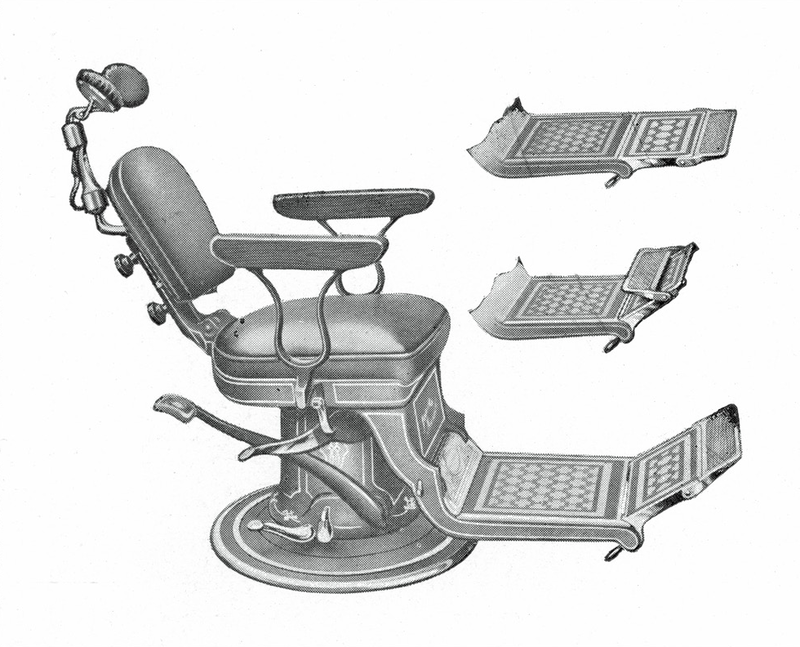 In the early 1900s pediatric dentistry was born and dental chair manufacturers kept pace with demand. 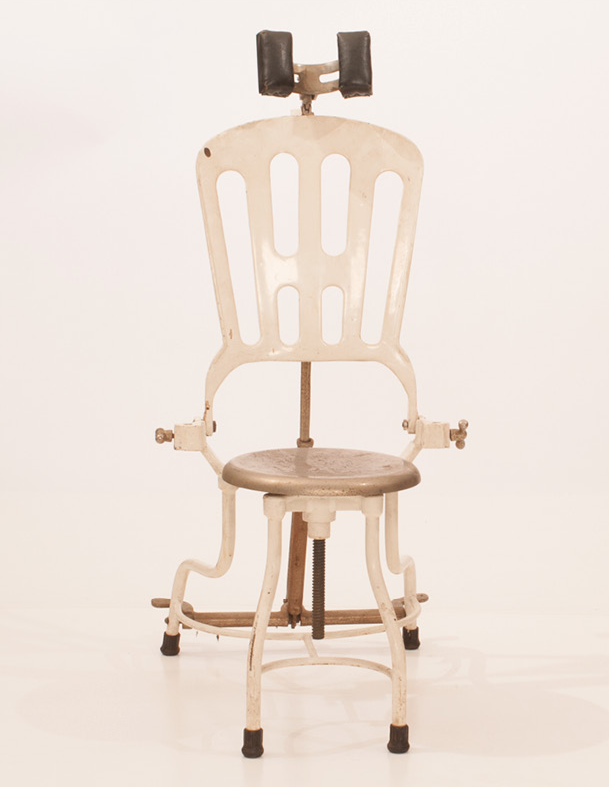 This chair from the Ward Museum, donated by John Merchant, DDS, was made in 1907 by the SS White Dental Manufacturing Company. 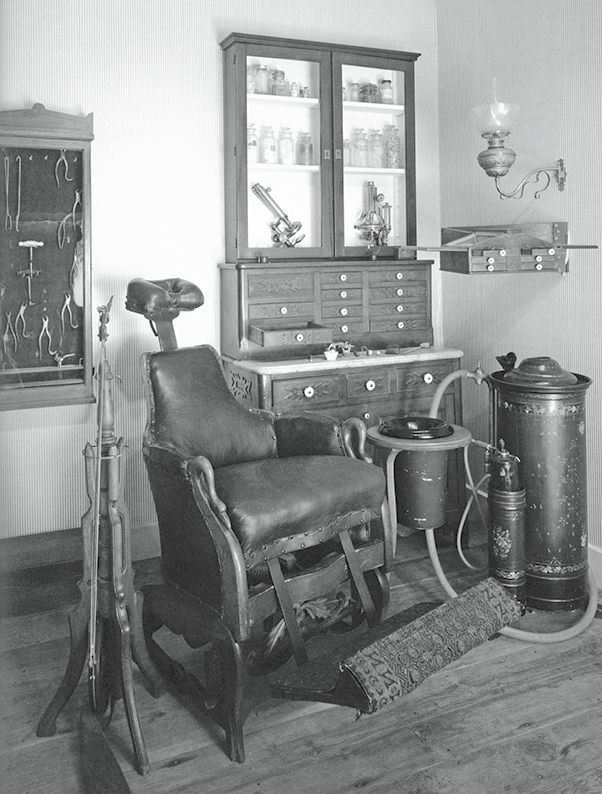 With increasing awareness of how disease is spread, dental and medical aseptic examination chairs appeared in the early 20th century. This enameled metal example was donated by the late Bo Suter, founder of Suter Dental Manufacturing Company. This SS White Diamond Chair No. 3, described as "distinctive, compact, complete and sanitary," met every requirement of the cutting-edge dental practice. 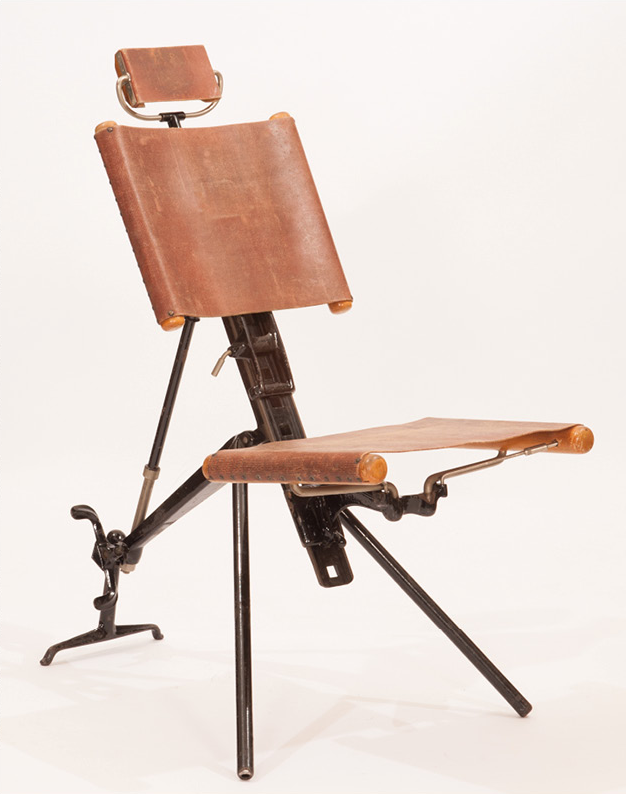 During World War I, American Dental Corps officers, likely including those recruited from the P&S student body, often treated soldiers seated in a portable field dental chair similar to this one from the Ward Museum. 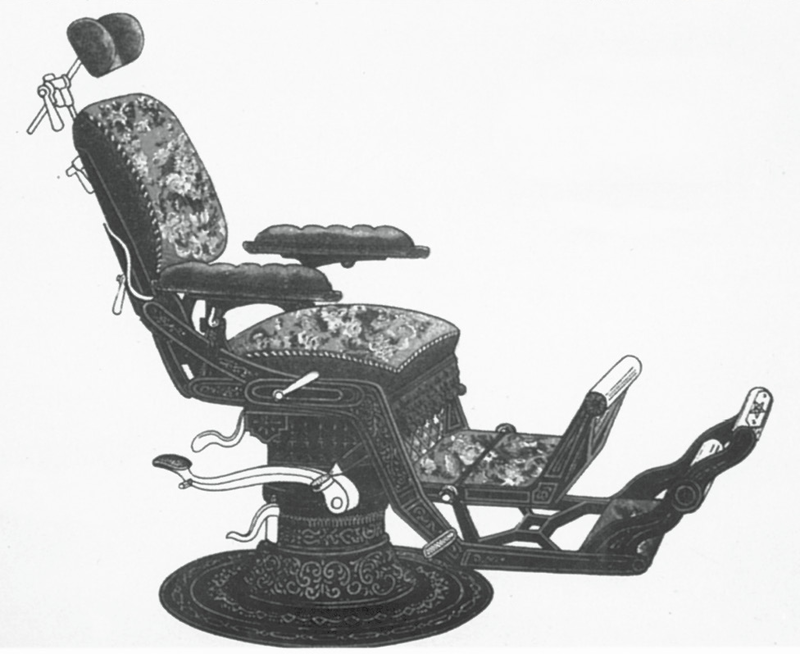 As illustrated by this donation from the family of Kazushige Hayashi, DDS (P&S Class of 1915), all angles and corners of the dental chair became rounded and devoid of ornate scrollwork. 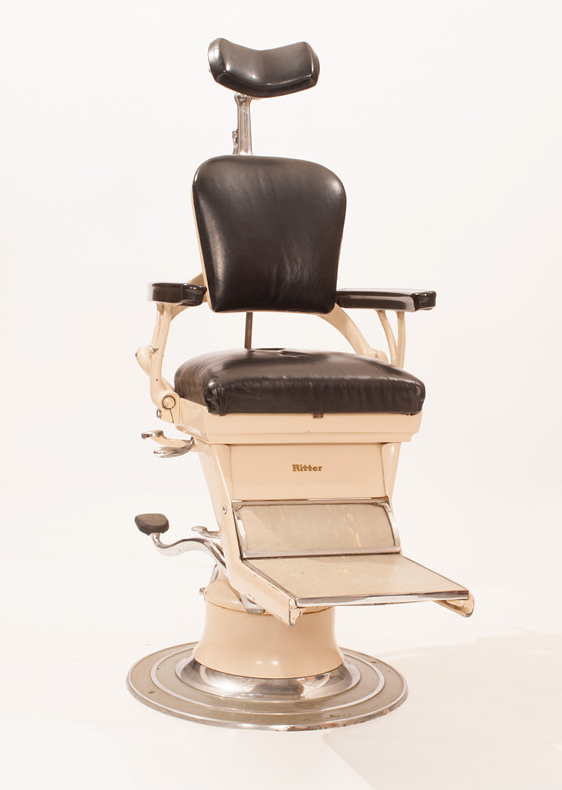 Emphasis on a functional and hygienic design became standard for dental chairs of the time. 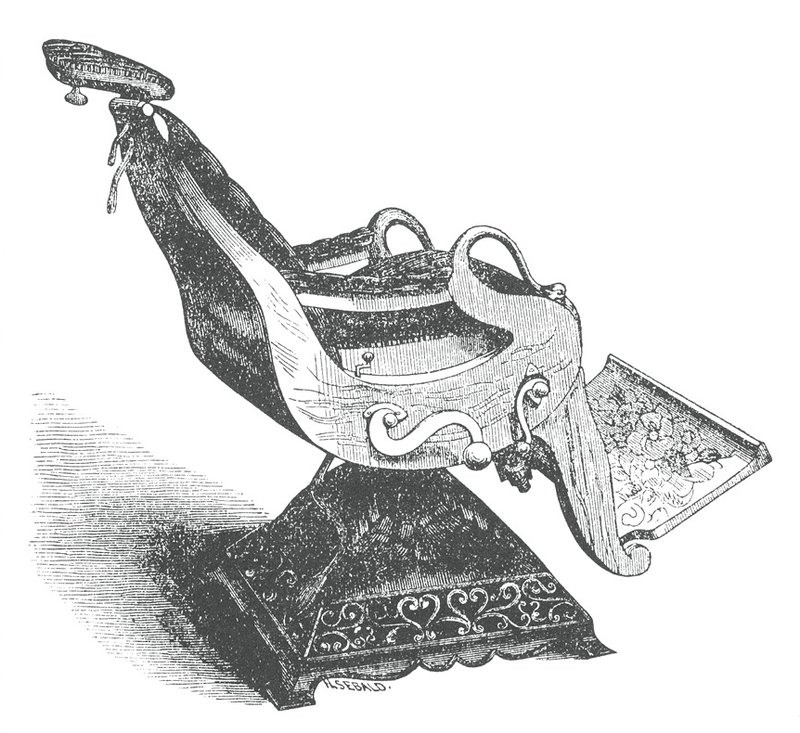 Advertisers of the Peerless Harvard Dental Chair described its "beauty and utility," featuring the sleek foot platform that adjusted to three different positions. 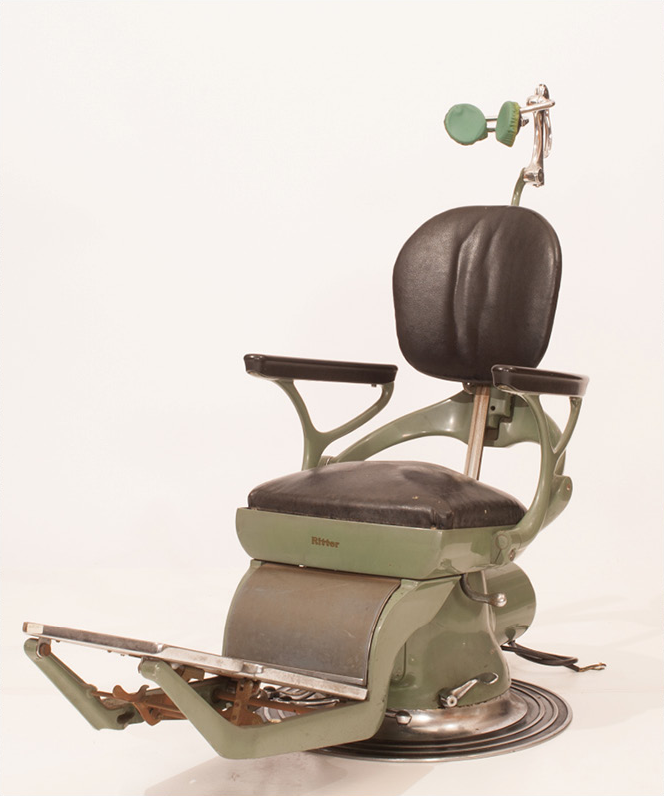 Typical of chairs manufactured around the 30s, this Ritter foot-pedal chair, donated by the late Wilfred Forbes, DDS (P&S Class of 1943; faculty & emeritus 1950-1997), sold for around $300. 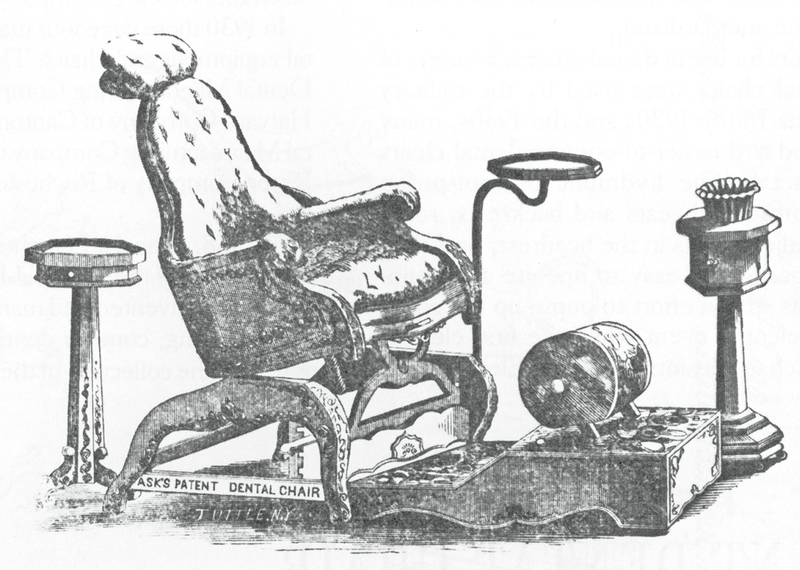 The practice of dentistry required much less exertion after 1924, when the electric motor-driven chair replaced the antiquated foot-pump chair. A 1940s Ritter electric model is shown here. 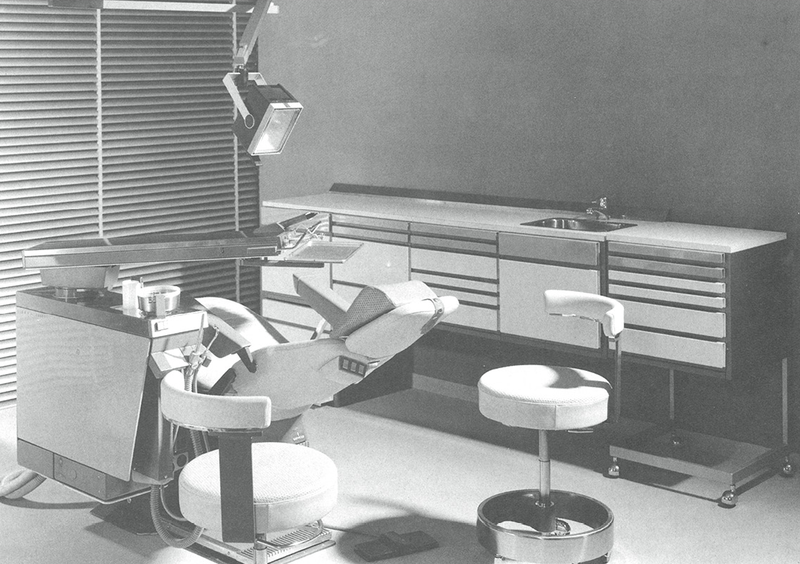 To maximize practice efficiency for the dentist and his assistant, the dental chair of the 70s became streamlined with a sleek, contoured appearance, and the dental office spacious. John Naughton designed one of the first reclining dental chairs in 1958, delivering his initial product by hearse to a grateful local dentist. 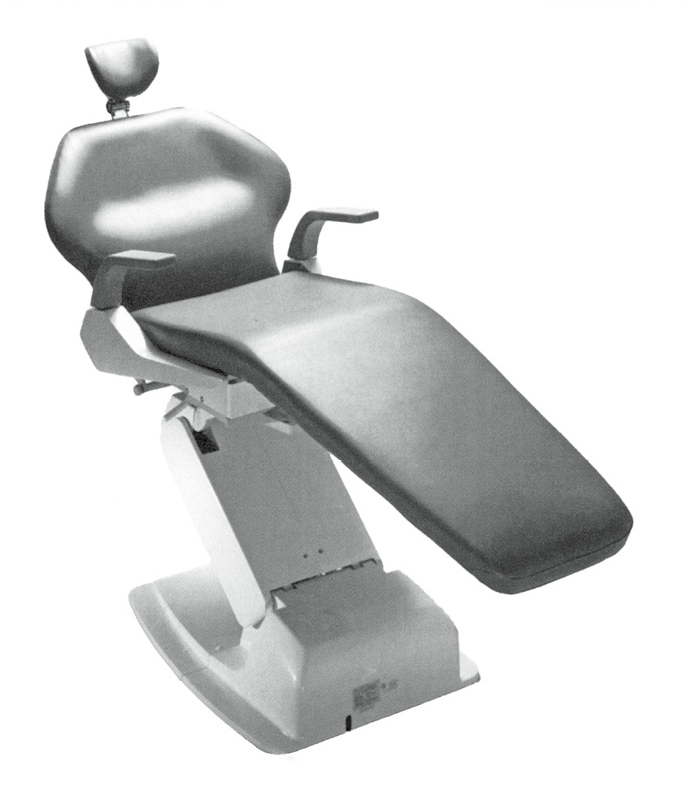 The modern standard operating practice of four-handed "sit-down" dentistry resulted from steady improvements in this innovation, represented here by a 1984 reclining Ritter Chair. Taking the 21st century by storm, this Belmont X-Caliber dental chair offered an array of advanced features including 600 lbs. lift capacity, anatomical adjustability, easy exit, anti-bacterial safeguards and preprogrammability! 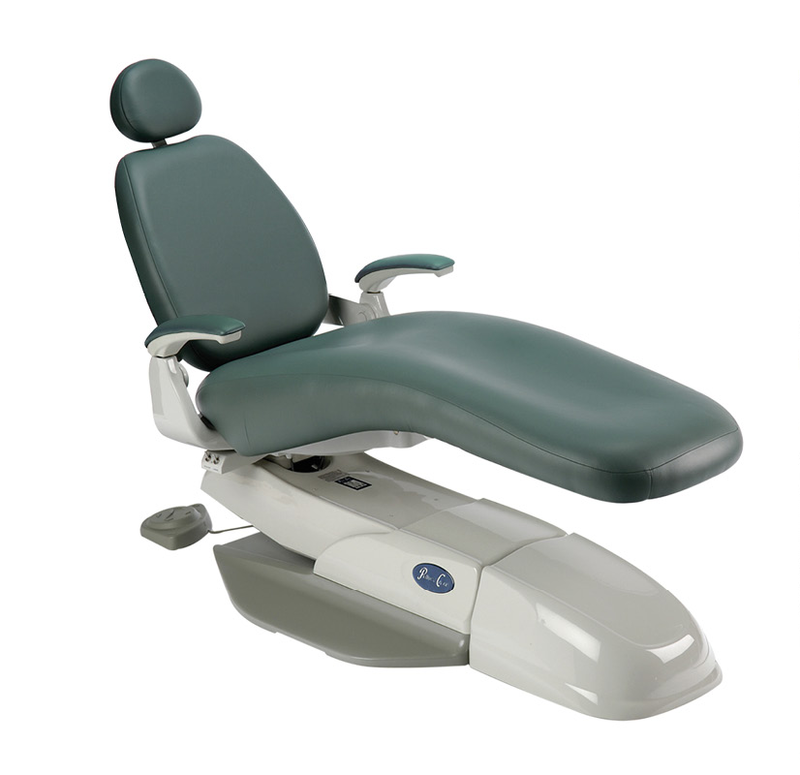 This Pelton & Crane "ergonomically optimized" Spirit 1804, similar to Pacific Dugoni's new clinic chairs, is the height of patient comfort with form-fitted seat foam and wide toeboard. A quick-release duel articulating headrest and tension-released chair swivel lock with 30-degree range adjustment allow the practitioner to position the patient for highly effective access to the oral cavity.